This is a true story of Norwegian resistance fighters during World War II, while their country was occupied and controlled by Nazi Germany. It is an autobiography, since the writer is recounting his own adventures, and it is a thrilling tale of danger and suspense, espionage and sabotage. The story begins right after Norway is invaded by the Germans. Olsen and his friends want to fight, but most of the country is in total confusion, and they have no organization that will help them strike back, until Olsen meets a British agent, who starts to give them assignments: collecting information about troop movements, and taking photographs of the German positions to send to England. Their first big escapade is blowing up a bridge, to prevent supplies from reaching the German forces. I glanced at the illuminated face of my wrist watch: a quarter to four! The sweat ran down me as I worked feverishly; the whole charge under the central beam, the fuse down—and I after it. We had not a second to lose: the Germans might be back at any moment! An old raincoat served as a screen while I lighted the fuses. Many times Olsen narrowly escapes death. He is captured and questioned on one of his missions, but escapes on his way to prison. Eventually, as the area becomes too dangerous for him and his friends to continue their work, they decide to cross the North Sea, and seek refuge in England. In a small boat, with only three men on board, they embark on a voyage which once again nearly kills them. At one point, they are stopped by the German coast patrol, for being outside the allowed fishing areas, but Olsen convinces the lieutenant to give them a tow back to the Norwegian shore, claiming they are fishermen, who drifted too far out in a calm. Between this setback, and a storm that blows them south, off course, the journey takes far longer than anticipated and they are dehydrated and starving by the time they are finally picked up by a British destroyer. Rolf danced around the mast like a madman. Kaare sat aft holding tight to the tiller, while the tears ran down his face. I myself could hardly see through my tears. In England and Canada, Olsen trains as a radio operator, and a parachuter. When the time comes for him to return to Norway, he is served two eggs for breakfast, the custom for all men leaving on a mission, since rationing has made eggs into a luxury (hence the title of the book). Olsen runs a radio station in the woods of Norway, sometimes right underneath the Germans’ noses, moving all his equipment every time the Germans came close to discovering him. He sends information back to England every day, sometimes every hour: weather conditions, troop deployments, ships entering and leaving the harbor, and anything else that the British ask for. When he sends news of a convoy of ships heading out to sea, and hears the next day that they had been sunk by British planes, he can see the result of his work. Once more, before the end of the war, he has to flee from Norway, this time traveling over land into Sweden, but again he returns, to help relay information during the crucial days leading up to D-day. My Grandpa, who is part Norwegian, was the first one to introduce me to this story, and it has been a favorite of mine ever since. I just reread it recently, after running across it in a lovely little used bookstore. This time I read it aloud, to share the experience with my husband. I’m amazed at the accomplishments of this one man! He took enormous risks, and escaped capture in the most extraordinary ways. For anyone who loves stories about World War II, or stories about espionage and undercover work in general, this is a book you will not want to miss! The only drawback I can think of in the writing and storytelling is the setting: because I am not familiar with Norway, the names were hard to pronounce, and I had a hard time picturing where all the places were in relation to one another. Some maps would have been helpful. As far as language is concerned, there are a few mild swear words. There is also one crudity, in relating one of Olsen’s run-ins with the Nazis. Although this is about a war, and a nasty war at that, there are no graphic descriptions of violence, though Olsen does recount getting beat up one time when he is captured by the Germans. He mentions friends of his getting sent to concentration camps in Germany, but it is not detailed. The “bad guys” are certainly not the only ones committing violence however: Olsen often carries a revolver, and he is willing to shoot to kill if his life is at risk, although it is usually safer and better for the success of his missions if he can avoid open confrontation. As with many true life stories, there are great themes in Two Eggs on my Plate. Courage is ubiquitous throughout the book: not only are Olsen and his friends risking their lives every day, but they are also often supported by others in the community. Farmers provide them with shelter, and the electricity needed to run the radio station. A railway official helps them transport contraband equipment from city to city, which requires breaking about a dozen regulations. Even children bring warning of German raids in town. There is pain and grief, as families lose loved ones, but they never stop fighting to keep control of their own lives. The theme that strikes me most, though, is Olsen’s incredible determination to overcome every obstacle and endure every hardship. The possible illustrations are endless: when he lands by parachute the first time, for instance, he dislocates his knee and faints, falling into a tree because the wind was blowing much to hard for a good drop, yet he still gets the parachute and supplies hidden, then drags himself through the forest, traveling for a day and a night before finding a farm where he can rest—and then the farm belongs to a Nazi sympathizer! He never gives up, no matter how impossible the task might seem, but is always willing to try, and to keep going until the Germans literally chase him away from wherever he is working. The three of us running for our lives will never forget that hunt, which went on for hours in every direction across the moors. Down cliffs and up slopes, over pools and brooks, now lying flat on our stomachs, now in a wild chase under a rain of lead. Without friendship and trust in other people, however, Olsen could not have accomplished what he did. Those who worked closely with him, helping to run the station, could have given him away without even meaning to do so. Sometimes he also had to trust complete strangers, feeling out their political leanings by carefully steered conversation and then enlisting their help, although he usually gave them a fictional account of himself, to protect both sides. For two days we lay buried the hay in the outside loft of the Aabel farm; Anders [the farmer] kept us informed of the latest developments in the neighborhood and supplied with food. Our clothes were in a sorry state after the chase, so when we decided to make a trip into town we had to borrow clothes from Anders. Olaf Reed Olsen is a Christian, and his faith is mentioned several times throughout book—from the moment he says goodbye to his mother before leaving for England, and through all his experiences. He often mentions praying, and his belief that God is in control of his life, and the one protecting him in perilous circumstances. His confidence that good will triumph over evil is what fuels his courage and determination to fight. I went round and got everything ready in a desperate hurry, at the same time praying aloud. We could only hear the rushing of the wind and the roaring of the seas that broke incessantly over the little craft. But in spite of everything we sent up fervent thanks to Him who had arranged this weather. What should we have done if the same wind had come from the west? Overall, it’s a great adventure story, and I would recommend it to middle teenagers or adults. For younger children especially, I always suggest that parents read first—every family will have different rules and standards of what is acceptable. It could be a good read aloud, if parents are willing to try to tackle the foreign names and places, but younger children might lose interest, as the exciting adventures are interspersed with some slower sections, such as descriptions of the equipment they used, and the political atmosphere in Norway in the 1940s. The wind shifts to the west. Peace, peace, Banshee—”keening” at every window! It will rise—it will swell—it shrieks out long: wander as I may through the house this night, I cannot lull the blast. The advancing hours make it strong: by midnight, all sleepless watchers hear and fear a wild south-west storm. That storm roared frenzied, for seven days. It did not cease till the Atlantic was strewn with wrecks: it did not lull till the deeps had gorged their full of sustenance. Not till the destroying angel of tempest had achieved his perfect work, would he fold the wings whose waft was thunder—the tremor of whose plumes was storm. Sometimes I forget how much I love the classics. Though Jane Eyre is much better known than Villette, they are both marvelous stories, with the same tinge of the gothic, the same wonderful and extravagant prose. Villette is the tale, in first person, of a young lady named Lucy Snowe who has been cut off from her family (by death or some other circumstance, we are not told) and must rely on her own resources. Although she seems to be a quiet, steady person, she takes what little savings she has and sets out first for London, and from there for the Continent, without any idea of where she will get work. Through a shipboard acquaintance, Lucy hears of a school that may possibly need a teacher; she applies for the position and is accepted, to teach English. Most of the novel, therefore, takes place in “Labassecour” (Belgium). This means that often the conversations are partially in French, which causes frustration to one who possesses very little French. Of course, Brontë, writing in 1853, assumes that all her readers also knew French, and did not see any need to translate her characters into English. I will say, any important information can be figured out through context, but I still wish I had a version where everyone speaks English, or at least there are footnotes with the translation. All of the characters in Villette are interesting, but as a first person narrative, it is Lucy’s mind that we are reading. She does very little, after the initial uprooting from England, it is inward changes in her thinking and emotions that drive the plot: her friendship with M. Paul Emmanuel (Professor of Literature at the school where Lucy works), gradually changing into love. The main sub-plot of the book involves Dr. John Bretton, to whom Lucy is quite close for a time, falling in love with Pauline Home/Bassompierre. Both of these characters are introduced as strangers in Belgium, but turn out to be friends from Lucy’s childhood, met at the beginning of the book. (Reminds me of Dickens, the way all plot threads must be woven back together in the end.) Personally, I find neither of these two very compelling. They have charmed lives, untouched by the rigors that Lucy endures, and form a contrast to her own life. One interesting conflict in the book revolves around religion: Lucy, as an Englishwoman, is a Protestant, and M. Paul, as well as everyone else at the school, is a Catholic. This results in opposition to their relationship, and Lucy must decide if her religion is worth holding on to, as M. Paul must decide if he is willing to love a Protestant. Neither denomination is condemned by Brontë, though she is clearly on the Protestant side. I will not give away the ending—even the author left it ambiguous—I’ll just say that the weather is very important in this book. Storms on the outside often reflect storms in the heart, and Lucy’s vision of a nun in the night are not based wholly on unfounded fear. If that doesn’t sound like a book you want to read—you probably shouldn’t. If, however, you enjoy Jane Austen and Charles Dickens, you should at least try the Brontës. Their view of life is less rosy, but it is still quite unrealistic and romantic. The Goshawk, by T.H. White, recounts the author’s experience of trying to train a wild hawk. The theme of the tale is man against nature—nature, in this case, being a hunting bird. When White decided to train the Goshawk, he had no practical knowledge of the methods used, relying on old books of falconry, and letters sent out to well-known falconers across Europe. As a nature study, The Goshawk is fascinating: the descriptions of the hawk itself, the other birds that White encounters in the training process, and the woods and fields in which the training of the hawk takes place are wonderfully picturesque and precise. These details come from the day-book which White kept while he was taming Gos (as he calls the Goshawk), and the finished story retains the feeling of a diary, giving the reader a feeling of immediacy and personal connection with the falconer and his falcon. Be warned, if you are squeamish: there is a LOT of raw meat in this book. Feeding the bird is an important aspect of its taming, and White spares no details. There are many ups and downs throughout the book. The first step to train Gos is to keep him awake for thee days and nights, until he is willing to sit on his owner’s fist without protest. This requires the falconer to stay awake as well, an enormous test of endurance. White shows the taming of the goshawk as a battle with only one winner: either man or bird will give in. Unfortunately, after all the work to “man” the hawk (teach it to accept human activity), Gos escapes, by breaking the cord attached to his jesses. Up to this point, I found the writing wonderful, and the account exciting, but after Gos is lost the description of snares set up, and the increasingly hopeless attempts to recapture either Gos or some other hawks that live in the area becomes tedious. Nothing is happening, no progress made. I kept hoping that all this was leading up to a miraculous recapture, but it never materializes. After several months, White obtains another hawk, and closes the book with a brief recounting of getting her to catch a rabbit, the last stage of training, which he had never reached with Gos. Lacking the earlier connection built between the reader and Gos, this section of the book was detached and fell flat for me. This book reminded me of the frustrations and wonders of writing non-fiction. The vivid first half would not have been possible without its basis in actual events, but the disappointment of the second half could have been avoided, changed into a triumph rather than a failure. I wish the ending had been different, but since real life cannot be changed, the book would have lost its integrity, so in another way I’m glad it was left alone. 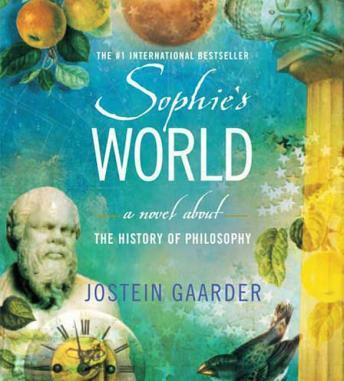 The author, Jostein Gaarder, totally hooked me with the subtitle. A novel about the history of philosophy? I find philosophy fascinating, and have read a couple books on the subject, but never before a novel! Set in Norway, in 1990, the main character, Sophie, is introduced to the subject of philosophy when she finds two mysterious questions on a white card in the mailbox: Who are you? Where does the world come from? She ponders these difficult questions, and when more letters start showing up, she eagerly enters into a correspondence course on the history of philosophy. At first her teacher is a mystery—just a shadowy figure that leaves letters in her mailbox; however as the course progresses she learns more about him, discovering where he lives, and getting to know his dog. When Sophie starts receiving birthday postcards addressed to someone else, her philosophy teacher is forced to reveal himself, so that together they can discover who is threatening their world, and how to escape from him. The plot itself twists and turns, getting more and more complicated, and by the end of the book I was struggling almost as much to follow the plot as to understand the philosophical theories. You could say that the plot becomes more philosophical as you get further into the book. Christianity is of course the “philosophy” I know most about, though I consider it to be much more than a philosophy. Naturally, I was rather dissatisfied with the explanation about Jesus as a philosopher, and the ideas he is presented as holding. So I know that Gaarder does not have the same view of the Bible as I do, but whether or not he believes in some kind of Deity is more difficult to tell. He at least presents the arguments of such theologians as Augustine and Aquinas very fairly. Freud, of all the philosophers, is the only one I really can’t stand. Just…be warned. I would not recommend this book for kids, unless their parents feel they are ready to be exposed to Freud’s theories. Darwin’s theory of evolution is discussed, and the earth being 4.6 billion years old is accepted as fact in the book. However, I was fascinated by the explanation of the Big Bang: there are only two possible theories about the beginning of the universe; either everything came from nothing, or everything has always been there, and the book quite correctly states “both theories are equally inconceivable”. Since this book was originally written in Norwegian, I read an English translation. This is always a little off-putting, since some aspects of any book do not translate well into another language, and in Sophie’s World I think it made the dialogue feel more choppy. Gaarder is very concerned with environmentalism and the UN, and these topics crop up often through the book. I do plan to re-read Sophie’s World at some point, and I will certainly look up some other titles by this author. The boy who never grew up. The girl who knew she was going to grow up. Pirates and Indians, fairies and crocodiles—imagination and reality are wonderfully blended in this story. Would you believe I wasn’t allowed to read it when I was a kid? I heard the name many times, and gathered a confused idea of the plot, with images from the Disney animated version vaguely attached to it, but the first time I read the book was only a couple years ago. At that time, I was rather unimpressed. It was a cute story, but I already knew how it turned out, so the suspense was ruined, and I did not see other elements in the tale that made up for this lack. However, this last week I read it again (listened to it, in fact, on the Classic Tales Podcast), and I liked it quite a bit more this time around. The plot itself is quite simple: The Darling children set out with Peter Pan to fly to Neverland, the island of every child’s imagination. They have many adventures, but at last Wendy realizes that they need to go back home to their parents. They invite Peter and the “lost boys” to come with them, but Peter is determined to never grow up, and so he refuses to come. Just when they are ready to set out, their camp is attacked by Hook and his pirate dogs, and all the children are captured, except Peter, who rescues them. They kill all the pirates (except Hook, who is eaten by a crocodile), and finally make it back home to the Darling parents. The real joy of the book, however, are the three main character arcs: Peter and Wendy, Peter and Hook, and the Darling children and Darling parents. Around these relationships are built the events of the book, and they each change over the course of the story. I love the Darling parents, even though they are only at the beginning and end of the book—Mr. Darling is especially funny. Wendy starts by just wanting to mother all the boys on the island, but by the end of the book she realizes she doesn’t want to mother Peter exactly, while Peter is oblivious and self-centered the whole way through. This book is not going to be everyone’s cup of tea. You may love it, but you may be left nonplussed. Whether you like it or not will depend, I think, on your reaction to the character of Peter. He does not abide by any laws but his own, and he is at times guilty of the most appalling bad form, as Hook triumphantly noted right before his death. At the same time, he is delightful fun: his rollicking spirit drives the book throughout. For me, he was not a character I could sympathize with or connect to, but I greatly enjoyed watching him. The “reality” of the book is in it’s view of children’s minds: the author understands how they think. 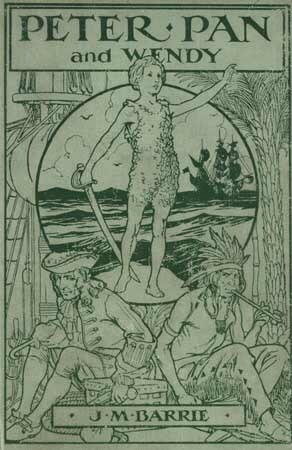 Every child has an imaginary land—whether it is Narnia or Neverland or some other—and a child’s imaginings are perfectly captured in Peter Pan. What is the ultimate goal of the gospel? Is it saving people from hell? Is it walking in accordance with God’s commands? Though both of these are part of the gospel, if our only goal is to live a righteous life and to escape hell, we would be missing the truth of Christianity. In God is the Gospel, John Piper reminds us that “the highest, best, final, decisive good of the gospel, without which no other gifts would be good, is the glory of God in the face of Christ revealed for our everlasting enjoyment.” Everything we do and say should be focused on God, because He is the only one who is worthy. The gospel is “good news”. We all know this, and we have heard it over and over. But why is it good? Without God at the center, the life and death of Jesus would have no meaning. If Jesus’ death is sufficient to pay the price for our sins, but there is no eternal enjoyment of God, “we are of all men most pitiable”, as Paul says. 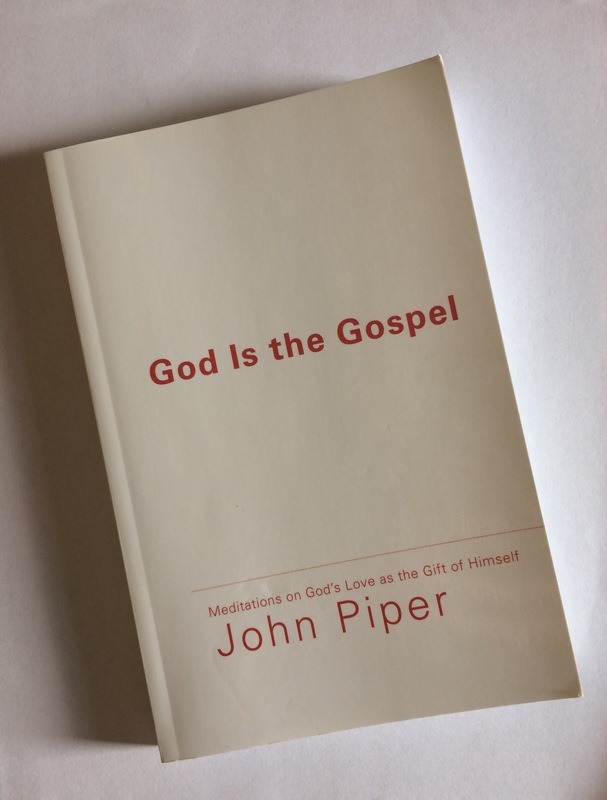 Throughout the book, Piper shows from the scriptures that the gospel is all about God, in all of his three persons. He takes each facet of the gospel with which we are familiar, and emphasizes how each one should bring glory to God: the life of Christ, the ministry of the Holy Spirit, and evangelism and missions. God has given us many gifts, but the gift of Himself is the greatest of all, and without that all the other gifts are useless. John Piper also addresses our natural human tendency to focus on ourselves, rather than God. We often act like God is glorifying us—making us stronger and better and more admirable, when we ought to be glorifying God: holding him up as the strong one, the best, and the only truly admirable Being. This is the type of book that is good to read just to refresh your mind. There is nothing ground-breaking, no breath-taking new insight for a doctrinally sound believer, but all of us get our focus off of God and onto ourselves far too often, and we need to be reminded of the true point of the gospel. No matter how many times we learn this truth, we always need to hear it again. As a kid I remember imagining myself fighting alongside Prince Caspian in the battle to retake Narnia from his evil uncle. I my mind I crawled with Digory and Polly through the creepy attic and right into mysterious study of her creepy uncle Andrew. I dreamt of exchanging riddles with the fishy Gollum or crafting secret nicknames for the Dragon Smaug. These stories never die and the of childhood blends faery-land with reality. Now, as an adult the nostalgia and beauty of stories has never left me. And every so often I slip them on like a secret ring and enter the portal of the faery and the hero. I some ways I enjoy these stories even more now that I understand that my yearning to join the hero is based upon my own participation in the Great Story in which I am a servant of the Great Hero. A couple years ago my younger siblings discovered The Mysterious Benedict Society. Though not set in a fantasy land it incorporates all the best elements of of faery tale: A despicable villain, riddles, secrets, a courageous hero, and the clear call to do the right thing no matter what the cost. After devouring this series last Summer my only regret was that there weren’t more books in the series. My usual diet of theology, apologetics, biographies and history occasionally screams for a break. And at last I found it: The 13th Reality: A Journal of Curious Letters by James Dashner. Best known for his Dystopian Maze Runner Series Dashner weaves a spellbinding story of fear and courage. A nerdy boy—Tick—from Washington receives crazy letters at first doubting his own sanity but soon begins to meet some strange people. As he solves the riddles contained in the letters he learns that he has been called to lead a quest to save the world. Sound like every fantasy novel you’ve ever read? Okay. But there are at least three characteristics that put this series in a class above their ilk: Tick lives with his loving family and throughout his solid relationship with his Dad is strengthened and his Dad is shown to be a courageous, kind man. The story revolves around theories of quantum physics which allow the characters to jump between alternate realities and explains that significant choices can lead to significant consequences in an alternate reality. The writing style is excellent—and the British characters were a nice touch. It has a fine balance between serious adventure and humor. This is a book, a children’s story, about two important things: art and friendship. Henry loves to draw, but he is unwilling to show his pictures to other people, because he is afraid they will laugh at him. 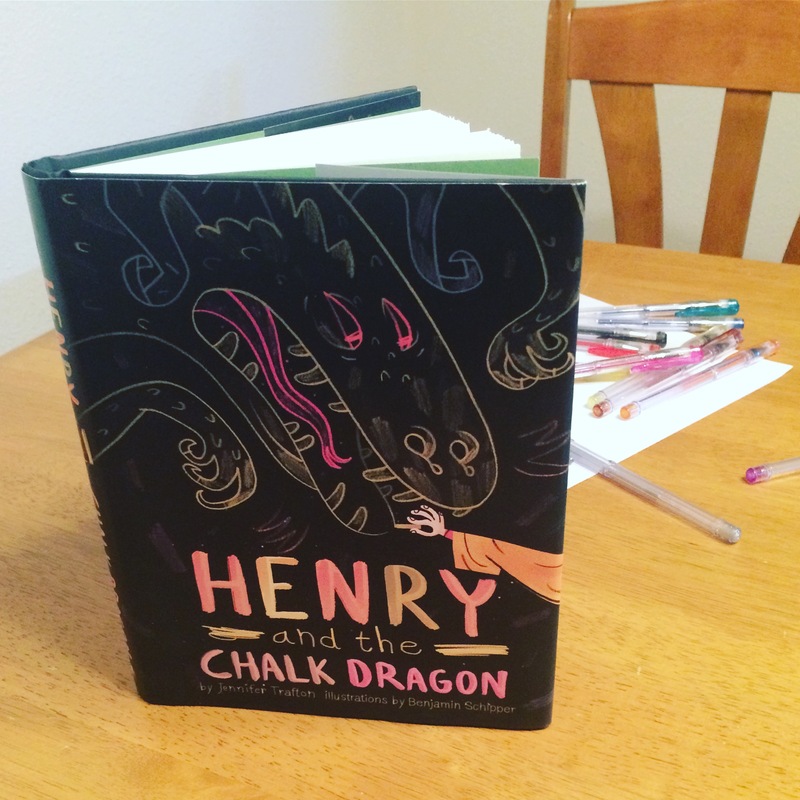 When the chalk dragon he has drawn on his bedroom door becomes real and escapes, carrying inside it all the other drawings he has ever made and the ability to change from one to another, Henry has to save the world (specifically his school) from the consequences of his imagination—using the very creative ability that caused the trouble in the first place. Helping Henry in this endeavor is his best friend, Oscar. As the two try to defeat the dragon by erasing it, Henry is disturbed by a secret that he does not want Oscar to find out: after an angry fight with his friend, he drew a picture of Oscar being eaten by a dinosaur, and he is terrified that the dragon might change into that dinosaur in real life. Oscar is indeed swallowed by the dragon/dinosaur, but he starts erasing it from the inside, thus finally defeating it. Henry confesses about the picture, and tells Oscar he is sorry. With the help of the other school children, they redraw the dragon into a new, less dangerous, creature, and release it. It is risky creating art that preaches about art, however I felt that the author, Jennifer Trafton, did a good job. The story was engaging and well-plotted, worth reading as a story rather than relying on its message to carry it. There are a lot of references to other books, especially children’s classics (Alice in Wonderland, The Chronicles of Narnia, The Wizard of Oz, and many more). I have read most of them, and caught the references, but there were some that were only familiar, or that I had never even heard of. Overall, I enjoyed the slightly humorous writing style. This book does not take itself too seriously, as befits a tale of extraordinary events in the ordinary world. There were points when the impossibility of what was going on caused my carefully suspended disbelieve to come crashing around my ears. For instance, Oscar has brought to class a creature called an Octagon, which eats anything circular. He keeps it in a shoebox, and it is important to the plot later on, but there is no good explanation of it. My first impression of the story is that it is set in a “normal” universe, before the chalk dragon comes to life. The Octagon does not quite fit. There is a smidge of feminism. I’m all for girls doing interesting and important things, and I liked the character of Jade, and how she brings her own strengths to help Henry and Oscar. However, there is a passage about girls always being damsels in distress, and how they should rescue boys instead that just seemed heavy-handed and unnecessary to me. I felt that at some points the author handled the subject well, and at other times poorly. IT HAS COME TO MY ATTENTION that I have not done nearly enough gushing over books lately. All the titles I’ve been reviewing have fallen into the “mildly interesting” to “moderately convicting” categories of reading, with nary a real live gusher among them. Well. This book breaks the trend, because I absolutely loved it, and there is definitely some gushing in the near future, if you keep reading. It was gripping. Illuminating. Grin-inducing. Thought-provoking. I was torn between reading slowly, so that it would last longer, and finishing quickly, so that I could share my thoughts about it. Hands down, this is the best book I’ve read so far this year. Sounds like a thrilling and colourful adventure tale, doesn’t it? The title of the post may have given you a hint that such is not the case…try a sermon series originally published in 1666. Puritan preacher Thomas Watson sets out to draw a picture of a godly man. What characteristics set him apart? How can we test our own lives to see if they match the requirements? What obstacles lie on the path to godliness? Watson begins his book with several assertions about godliness itself: it is real, though supernatural, both extensive and intense, glorious and permanent. He then takes a chapter to reprove and warn those who are only pretending to godliness, before settling into the main section of the book, which consists of twenty-four characteristics of the godly man. I’m only going to give you a few quotes from some of my favorite sections, since a summary of all of them would make this blog unconscionably long. This is so true, and so convicting. We have such easy access to the Bible, but how often, even if we’re reading it every day, do we make important decisions without considering the Bible, or try to fight the spiritual war without donning our armor? I have been accused of being a radical, and it was encouraging to read that it is sometimes a good thing! He is comparing Christians to freckles. Freckles. I just had to put in this quote, because it is a new favorite of mine. If you see me smiling for no apparent reason, it is probably because I’m visualizing every Christian I know as a face full of freckles. Thomas Watson concludes the book with more warnings and encouragement: while it is dangerous to be ungodly, if we are doubtful about our own godliness, we can use all these characteristics as “evidence” for our own peace when the devil assails us with doubts. Though we fail in many areas, Christ does not break a bruised reed, and as long as our salvation is on the sure foundation of faith in Christ (never, ever, faith in our own works!) we will exhibit godliness, however faint it may be at times. This is a stylistic thing: I just love the way he uses similes, illustrations, and word pictures to make his points. 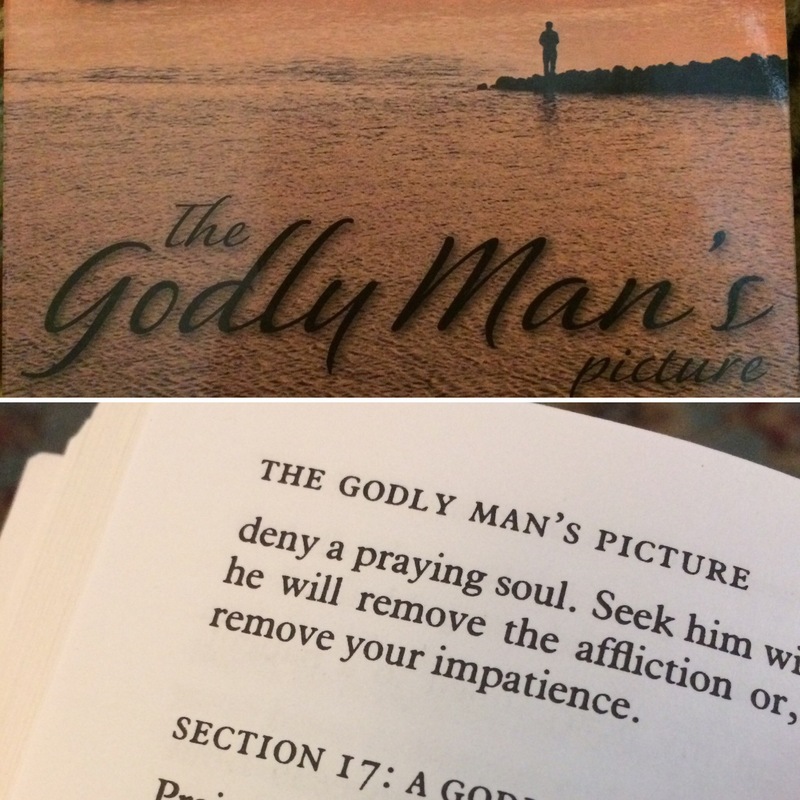 Even though on the surface this is more of a practical “How to recognize a godly man when you meet him” book, there is so much doctrine included as well. Thomas Watson is a good pastor: in every line he writes, his deep love of God, and his sincere care for people is clear. I cannot recommend this book enough: it could easily be read in small sections by anyone who is looking for a good devotional, it is worth reading no matter how much or little you know about godliness, and I think it can be understood even by older children, as well as adults. Sadly, I will have to give this copy back to my brother in a few months, but I will certainly get my own, as well as looking out for other titles written by Thomas Watson. I read this book because my Sunday School has been going through the twelve apostles, and the teacher recommended we read a book on them to go along with the study. Generally, I must admit, I would ignore such a recommendation, but then I saw this at a library sale, so I picked it up. Like many of MacArthur’s books, this was originally a sermon series. This means that if you are used to listening to sermons, the book is easy to follow. My knowledge of MacArthur previous to reading this book was almost exclusively through his sermons and commentaries on whole books of the Bible, and this was in some ways a contrast, since it is written for the general public (no greek!) and it is a topical study. The tone of the writing is very approachable, but firmly grounded in scripture, with many quotations or references throughout each chapter. It is also quite structured, with clear main ideas, supporting points, and illustrations for each disciple. Again, remember that it is based off of sermons. For each disciple, MacArthur gives us the known facts about them from the Biblical account—which is rather scanty for several of them (James the Less, Simon the Zealot, and the Other Judas, for example), as well as any additional information about them in church tradition. Tradition, of course, is not infallible, and it is set apart from biblical facts, so that there is no confusion. 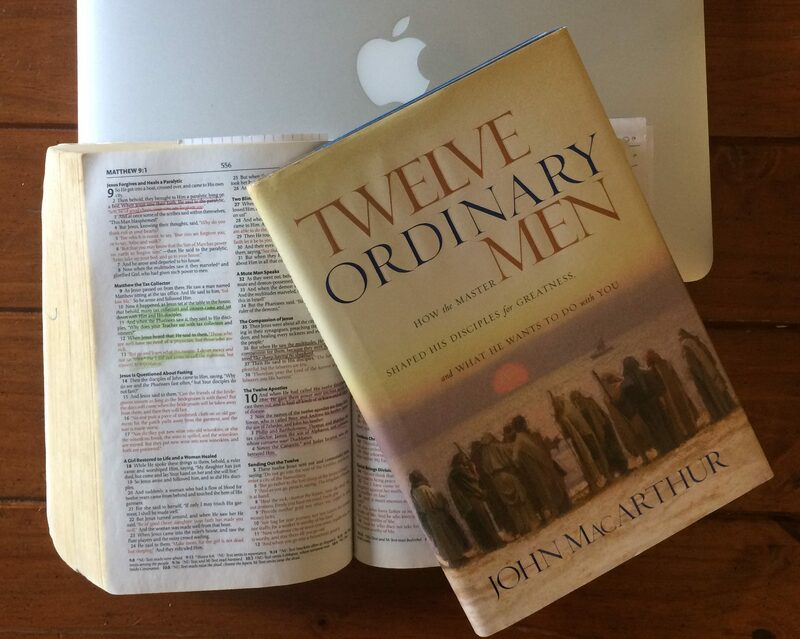 After these biographical details, MacArthur concentrates on important character qualities found in each disciple: leadership (Peter), love (John), passion (James), sincerity (Nathanael/Bartholomew) and more. The main focus of the book is on the ordinariness of the disciples: they are fishermen, not pharisees, humble country folk, rather than polished city dwellers. Throughout the gospel accounts, they question Jesus, they are confused, and they all desert Him when He is captured in the garden. Despite these failings, Jesus uses them to found the Church, and to spread Christianity into the furthest corners of the world. God delights to use ordinary people to do extraordinary things, and He is still using people today, just as He was back in the first century. We can be encouraged by the disciples to attempt great things for God, and we should strive to imitate the good character qualities they exhibited.